I think that it would definitely change peoples eating habits. For me it would because I wouldn't want to spend my money on junk food that's not good for you. People would hopefully realize they can save there money and buy and eat healthier food. -Best of both worlds. I would hope people wouldn't still want to pay a lot for their food. I think the fast food places would still be in business because some people would probably still spend their money even if it's overpriced. I totally agree with you ! 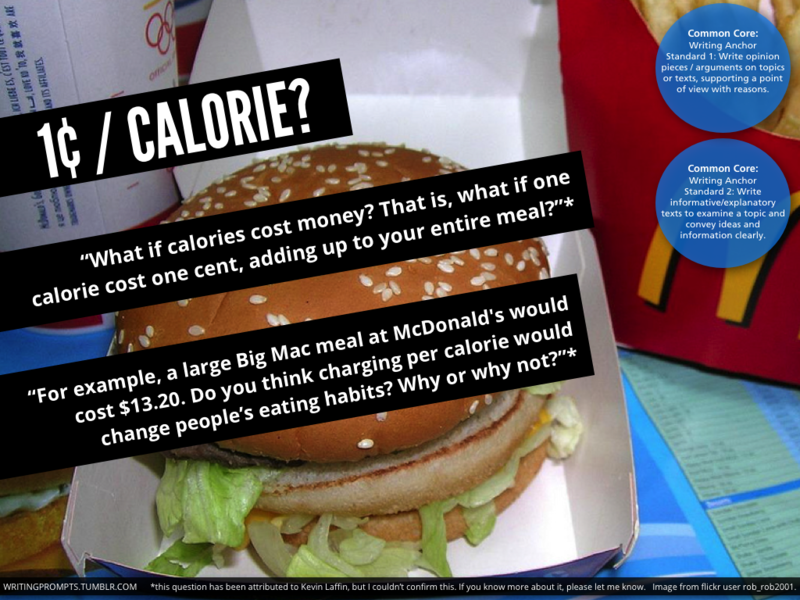 If calories costed money i definitely wouldn't spend the money on it, because over time, it would obviously add up. This would change peoples eating habits for the better and i think that it would inspire people to eat more healthier. I like this idea/concept. I also agree with you. Although doing this may annoy some people I feel like it would really change quite a few peoples eating habits. 2 common problems people deal with is spending too much money and also eating unhealthy so you were right when you said you get the best of both worlds!